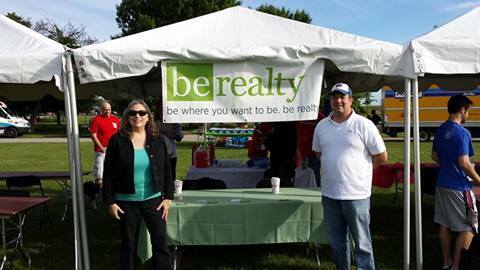 On Saturday, June 14th, Be Realty was a proud sponsor of the 2014 Liver Life Walk held at Montrose Street Beach. 44 teams comprised of 594 participants raised $78,457.94 on the sunny Saturday morning. As explained on the website www.liverfoundation.org, the liver is a vital organ that processes everything you eat, drink, breathe, and absorb through your skin. It helps break down food into essential nutrients for energy and filters out harmful substances from your blood. 30 million Americans are personally affected by liver disease. Nearly 100 liver diseases affect men, women, and children of every age and ethnicity from every social and economic background. Many of these diseases are preventable or reversible and most are less expensive to treat if detected early. The Liver Life Walk® website http://go.liverfoundation.org/site/PageServer?pagename=2012_llw_main explains the walk is the national fundraising event of the American Liver Foundation. More than 15,000 people from coast-to-coast pound the pavement to change the face of liver health! 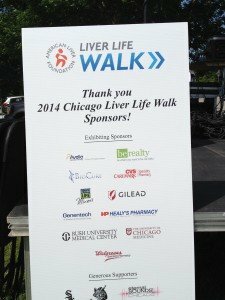 Participation brings much needed awareness and financial support to the needs of millions of Americans who are battling more than 100 different types of liver disease. 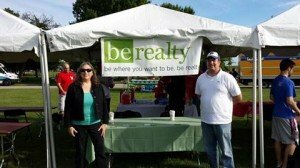 Be Realty participants were touched by some of the personal stories. Julia Seres was diagnosed with liver disease when she was 8 weeks old and had a liver transplant at 4 years of age. She is now finishing up her degree at DePaul, looking to give back within the medical community. Four year old Tommy Reilly received a liver transplant 3 years ago, joyfully led the participants off in the official countdown. As you could anticipate, several teams walked in memory of someone dear to them who lost their fight against liver disease such as team Blaire and All Campus Team Blaire, walking in memory of Blaire Dowdy who lost her fight against liver disease this year at the age of 27. 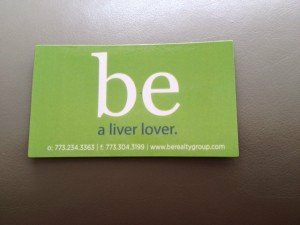 Be Realty had the opportunity to pass out magnets that said, Be A Liver Lover. We met many folks celebrating life and walking to save lives. 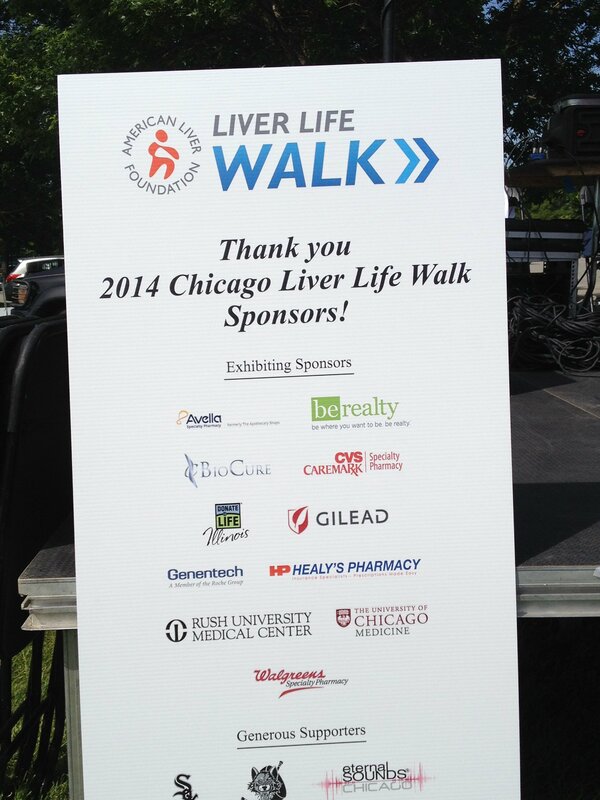 If you want to find out more about the 2014 Liver Life Walk Chicago event photos check out the Facebook page here. If you want to make a donation go to http://bit.ly/IndividualALFGift. For general information or contact Emily Jensen at EJensen@liverfoundation.org. Be Realty was proud to Be a Liver Lover and participate in the event. Last night one of our founders did something extremely courageous for charity. 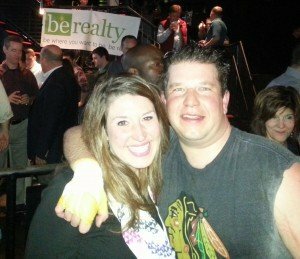 Stephen Johnson stepped into the ring and boxed at an event called Real Estate Rumble (http://www.chicagorealestaterumble.com), which raised money for Big Brothers Big Sisters of Chicago (http://www.bbbschgo.org). We could not be more proud of our brother for stepping out of his comfort zone and into the boxing ring, which in turn might have helped a child he does not know to be where they want to be. Here he is post fight, big smiles posing with his girlfriend who also did a great job last night giving Stephen her love and support. Congrats, Steve. We are all extremely proud of you!